If you hold onto one useful fact today, let it be this: The brain doesn’t need to be conscious to be productive. In fact, it’s often at its most productive when we’re asleep. Cognitive scientists are beginning to understand how beneficial sleep–especially napping–can be for students, and it’s time for educators to pay attention. New research confirms just how important napping is during early childhood development. Experts have suggested that sleep may be much more important in early years than at other ages. But researchers at the University of Sheffield and Ruhr University Bochum, in Germany, say “strikingly little is known” about the role of sleep in the first year of life. In their latest study, the researchers taught six- to 12-month-olds three new tasks involving playing with hand puppets. Half the babies slept within four hours of learning, while the rest either had no sleep or napped for fewer than 30 minutes. The next day, the babies were encouraged to repeat what they had been taught. The results, published in Proceedings of the National Academy of Sciences, showed “sleeping like a baby” was vital for learning: on average, one-and-a-half tasks could be repeated after having a substantial nap, yet zero tasks could be repeated if there was little sleep time. She said it had been assumed that “wide-awake was best” for learning, but instead it “may be the events just before sleep that are most important,” hinting at the value of, say, reading books with children before they fall asleep at night. Findings like these have important consequences for formal education settings, too. In 2013, sleep researchers at the University of Massachusetts Amherst found that daytime naps support learning in preschool children by enhancing memory. Research psychologist Rebecca Spencer, with students Kasey Duclos and Laura Kurdziel, studied more than 40 preschool-aged children and discovered that children who napped performed significantly better on a visual-spatial task later the same day, as well as the following day, than those who did not nap. To explore the effect of sleep stages and whether memories were actively processed during the nap, the researchers recruited an additional 14 preschoolers who came to a sleep lab and underwent polysomnography, a record of biophysiological changes, during their average 73-minute naps. Here Spencer and colleagues noted a correlation between brainwave activity and memory consolidation during sleep. This is all fine and good, but what about the effect of napping on adult learning? Do the benefits of sleep fade away as we age, or should we all be carving out a little time for shut-eye during our daily schedules? In a series of 2010 UC Berkeley studies, 39 healthy young adults were divided into two groups: nappers and non-nappers. At noon, all participants were subjected to a rigorous learning task intended to tax the hippocampus, a region of the brain that helps store fact-based memories. Both groups performed at similar levels. At 2 p.m., the nappers snoozed for 60 minutes while the non-nappers stayed awake. Later that day, at 6 p.m., participants performed a new round of learning exercises. Those who remained awake throughout the day became worse at learning. In contrast, those who napped did markedly better and actually improved in their capacity to learn. The researchers concluded that naps provide a kind of reboot for the brain, where one’s short term memory store is cleared out and the brain becomes refreshed with new “defragged space.” Conversely, the more hours we spend awake, the more sluggish our minds become. It’s also essential for retaining what you’ve just learned. What Really Goes On During Sleep? Since 2007, Walker and other sleep researchers have been slowly unspooling the neural mechanisms of sleep. So far, they’ve established that fact-based memories are temporarily stored in the hippocampus before being sent to the brain’s prefrontal cortex, which may have more storage space. In one of his latest studies, Walker and his team discovered that this memory-refreshing process occurs when nappers are engaged in what’s called Stage 2 non-REM sleep, which takes place between deep sleep (non-REM) and the dream state known as Rapid Eye Movement (REM). During this stage, information locked in the short-term storage of the hippocampus migrates into the longer-term database of the cortex. This action not only helps the brain process new information; it also clears out space for the brain to take in new experiences. “Sleep prepares the brain like a dry sponge, ready to soak up new information,” Walker told National Geographic in 2010. Although the “dreaming” sleep stage known as REM is perhaps better known, humans actually spend about half of the night in stage 2 non-REM. And this is when we do some of our best “thinking,” processing and organising new information, integrating it in with old information, and making space for creative solutions. “Our dreams could be a testing ground for subconcious problem-solving,” he says. Walker and his team will go on to investigate whether the reduction of sleep experienced by people as they get older is related to the documented decrease in our ability to learn as we age. Finding that link may be helpful in understanding neurodegenerative conditions such as dementia and Alzheimer’s disease. Although the field of sleep studies is rife with new findings, Sara Mednick, a psychiatry professor at the University of California, San Diego, says there are different lessons to be learned by different people. Some nappers tend to wake up groggy and disoriented because of something called sleep inertia. Previous studies have shown that habitual nappers tend to be light sleepers. 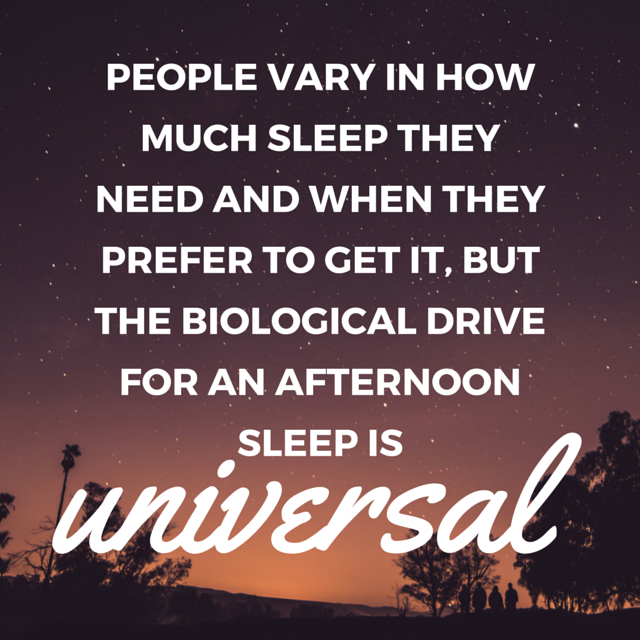 This means they spend much less time, at least during the first few hours of sleep, in a deep non-REM sleep state. 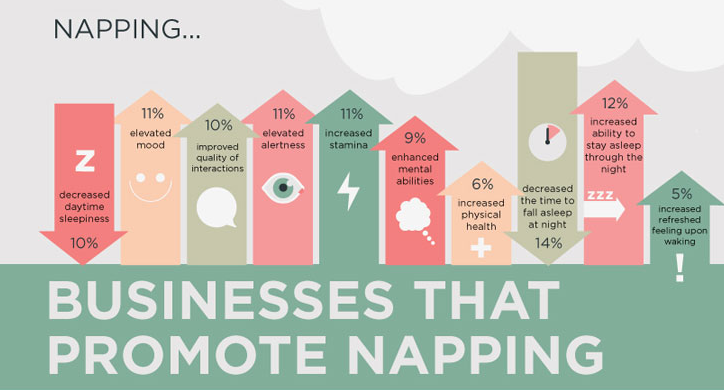 For those of us who do benefit from naps, how long should we stay asleep? Experts say a 10 to 20 minute “power nap” is best for refreshing your mind and increasing energy and alertness. The sleep isn’t as deep as longer naps, which allows you to get right back at your day upon waking. A 30 minute nap can lead to 30 minutes of grogginess, as you are often waking just as your body enters the deeper stages of sleep. You’ll experience some of that same fogginess if you sleep for an hour, but 60 minute naps are good for memory boosting. The longest naps–around 90 minutes–are good for those people who just don’t get enough sleep at night. It’s a complete sleep cycle and can improve emotional memory and creativity.